An introductory offer cost to enter the inaugural County Durham Golf Trail was set at only £150 per pair and we’re delighted to announce we’re maintaining this entry fee ! With a limit set at 40 pairs, we recommend you reserve your place early. If you would like to accept the ‘passport’ offer, please use the ‘passport’ tab above. This offers tremendous value from the individual green fees. 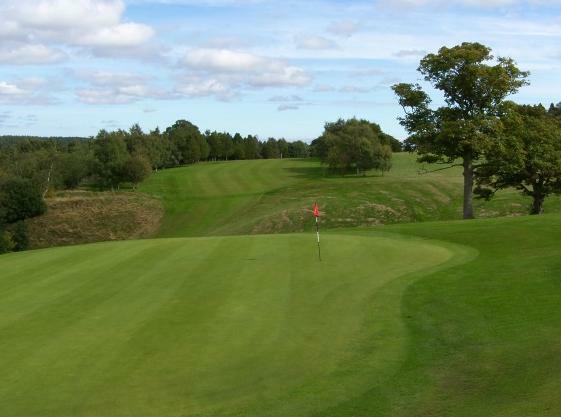 The County Durham Golf Trail will commence on Sunday July 7th 2019 at South Moor Golf Club teeing off at 11-30 and will finish at Barnard Castle Golf Club on Wednesday July 10th. You can enter the event by registering your time for the first club at South Moor and your tee time will be allocated for each club thereafter. You can input your requested tee off times for day two and three when booking day one by adding this request in the ‘personal details’ box. Or, email the site administrator – we will endeavour to meet this request but cannot guarantee it and will be allocated as close to the requested time as availability allows. Day four at Barnard Castle will see pairs go out in order of scores accrued from days one to three and leading scores will tee off last. Please note below the tee off options for days two to four. > The County Durham Golf Trail is a four day tournament open to pairs of Ladies, Gents or mixed and will be played as a stableford, fourball betterball format. > Gents will play from the white tees and have a maximum handicap of 24, Ladies will play from the red tees and have a maximum handicap of 36 with a 90% allowance. > All competitors must be members of a golf club and have an active handicap. > All competitors must provide CDH number at registration. The County Durham Golf Trail is a fun and social event but with enough at stake to get the competitive juices flowing ! We hope you like the minor changes we’ve made to our competitive format ! A maximum one prize winning voucher per pair, in the event of a pair winning two vouchers over the four days, the highest value voucher will be the prize issued. 2) The highest point total accrued over the four days will be the 2019 County Durham Golf Trail winners and will keep the trophy presented. Cancellations made up until June 1st will receive full refund. Cancellations made after this date will only receive refund if booking is taken from the reserve list.